Most takeaways limit themselves to basic marketing techniques: big bright signs in the shop front, and maybe the occasional direct marketing campaign. But there are so many more marketing techniques that you could take advantage of! 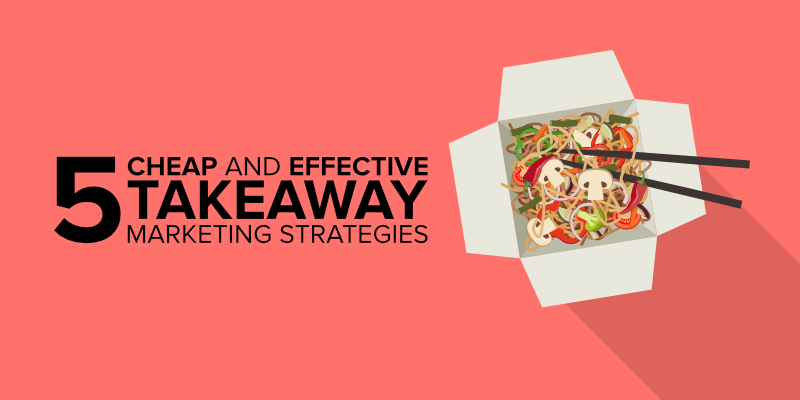 So if you run a takeaway, and you need help thinking of some fresh marketing tips, you’re in the right place. This list is of what we think are the five best marketing strategies, tailored just for takeaways. They’re all cheap, easy or even free to implement- so you’ve got no excuse not to use them! The first thing that we recommend is to make social media part of your overall marketing strategy. It’s free, it’s easy to master, and it can dovetail nicely with each other part of your marketing strategy, which is a point we’ll return to later. So, what do we recommend you actually do? First things first, sign up to both Twitter and Facebook. There are myriad social networks to choose from these days, and messaging services like Snapchat and WhatsApp which blur the line between basic messaging and social media. As a takeaway, all you’ll need are Facebook and Twitter. Set up your profiles with all the information that a customer might need to know about your takeaway- opening hours, prices and holiday opening times. And then? Just post! Post regularly and post often. If you aren’t sure what to post, there are a few points below which will serve as inspiration. Pictures of food is a great place to start! But for now, suffice it to say that the more attention you can get for your takeaway- and the same goes for any business- the better. And social media is an excellent way of doing just that. Here’s an excellent example of what you could post about. One of the best ways of getting new customers through the door, and for convincing old customers to keep coming back, is to offer regular cut-price deals. Even having a ‘loss leader’- some food that you don’t make a profit on- will benefit you in the long run by getting more new customers trying your food. The point is to strike a balance between deals that are no better than giving money away, and deals which are almost no better than regular prices. A good example is to offer a discount deal that boosts business at quiet times like Monday or Tuesday nights, with higher prices on Fridays and Saturdays. So you’ll be gaining customers, but not giving too much away. Not only that, but offering deals can be fuel for your other marketing strategies. Post about deals on social media, and include them in all your direct marketing campaigns. There’s nothing that grabs a customer’s attention like a discount, after all! Enough about digital, let’s talk real-world marketing. You run a local business, and there’s no better way of boosting local business than with regular direct marketing campaigns. You know what we mean: leaflets, flyers and menus promoting your business, sent to local addresses. If you aren’t running leaflet campaigns, you should be. Why? Not just because they’re effective, but because your competition will be. Nine out of ten of them end up in the bin or the recycling box, but those that don’t will bring customers in, and pay for themselves many times over. That’s money going into your competitor’s pocket and not yours. Design and of course printing are completely outsourced, so this won’t cost you any time. And like we said above, cut-price offers are probably the best way of grabbing a potential customer’s attention. Changes to the menu work too: ‘Why not try our all-new beef chow mein?’ Direct marketing is the best way to get these messages in front of new customers. So many takeaways use plain packaging, or packaging with generic branding. The reasoning is simple: it’s cheap, it does the job, and nobody will ever complain! But there’s one good reason to at least consider using branded packaging. We won’t hard on about ‘brands, brands, brands’. But every takeaway has a sort of ‘personality’, just like big brands like Apple or Google. Maybe your takeaway is the more expensive, but higher quality one in a small town. Maybe it caters just to students. Maybe at your takeaway, everything is done the old-fashioned way: beef drippings for oil, and everything wrapped in newspaper. The point is that every takeaway has a ‘brand’, just like big businesses. And there’s no clearer representation of a brand than a logo and a tailored design. The design is going to stand out and show what your takeaway ‘stands for’, which will make customers choose your takeaway over the competition. This is an especially good tip because so many takeaways go with generic packaging and branding, so it’s much easier to stand out! 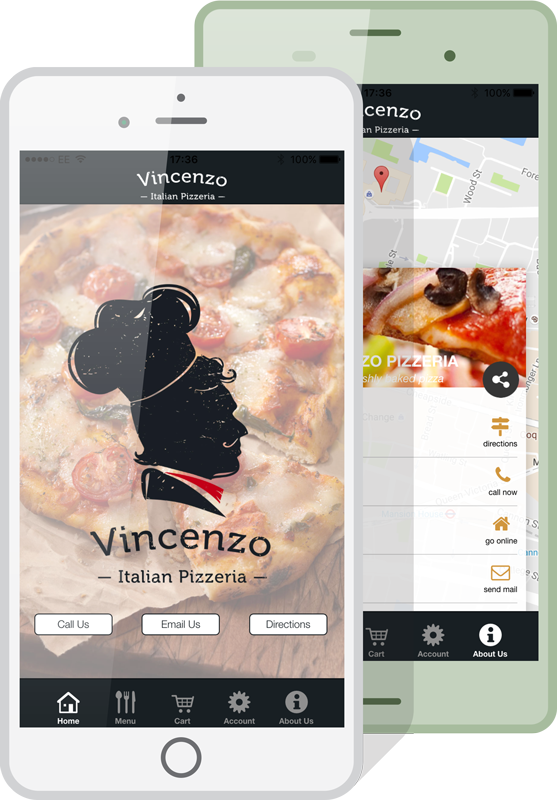 Another string to your marketing bow would be publishing your very own takeaway app. Using an online drag and drop editor, you can use your logos and colour scheme to design a takeaway app from scratch without having to know a line of code. Every page can be built from scratch, to include all-important information like opening hours, menu choices, or contact details. 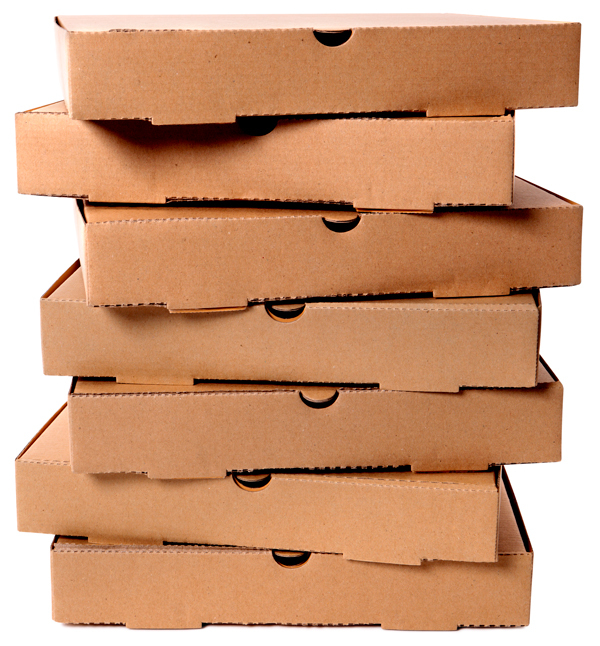 You can even include a direct ordering service, so that an order is only ever a few clicks away. Convenience like that is hugely appealing to younger customers. A tailor-made app brings everything together. So, for example, you can offer cut-price deals to anybody who orders online. You could include suggestions to download the app on flyers and menus. And having your own app would, again, make you stand out from the crowd instead of just being one of dozens of takeaways on Just Eat, Hungry House or Urge2Eat. So an app dovetails nicely with the rest of your marketing campaign- it could be the only thing you’re missing!